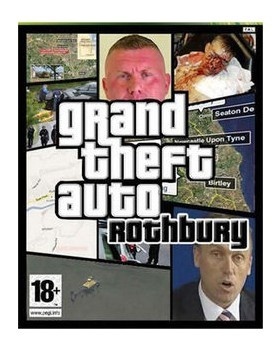 The Star says it hadn't checked its facts or asked enough questions before it published a very critical story about a fictitious GTA Rothbury game. The Daily Star has issued a formal apology to Rockstar Games after it published a story saying that Rockstar was making a Grand Theft Auto game based on real-life killer Raoul Moat. The story was based on a fake game box cover the Star had found online, and author of the piece - who was less than contrite when the factual errors of the story were pointed out - went as far as to contact one of the victims' grandmothers to ask her opinion on the game. The Star said it had made no attempt to check the facts of the story before publication and had not asked itself why Rockstar would use the GTA brand to make light of such a tragedy. The Star said it "unreservedly apologized" for the claims, and had said it would not repeat them. It also said that it had agreed to pay a "substantial amount" in damages, which Rockstar is donating to charity. It's good news that the paper has apologized, and hopefully the damages paid were enough to make the Star think twice before publishing anything without checking its facts first.